Margaret C. Birch, 78, of S. Division Street, Port Washington died Wednesday, July 6, 2005 at Heritage Nursing And Rehabilitation Center in Port Washington. She was born June 2, 1927 to John and Mary Gasser in Port Washington. Margaret was better known as Mickey worked at the former Knellsville Country Inn, Port Country Club and Milwaukee Golden Palace as a waitress amongst others. Mickey then started working for the Port Washington Post Office as a carrier. She met Arthur L. Birch, Jr. of Milwaukee and they were married April 10, 1975. He preceded her in death January 21, 1983. She retired from the post office after 20 years in 1991. She was a member of the Port Washington Senior Center and the former Sloga Society, Slovenian Group. Mickey is survived by her sons Mark Schmidt of Port Washington and Chris (Gina) Gasser of Random Lake, step-son Arthur Birch, III; 6 grandchildren and 1 great grandchild. Further survived by sisters Ann Stieg, Mary Schultz, Lucy (Frank) Hensel, brothers Joe (Jean) and Ray Gasser, all of Port Washington, other relatives and friends. 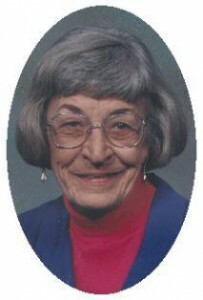 She is preceded by her siblings John, Max, Frank and Edward Gasser. Reverend Allan Sommer will officiate funeral services 6 PM Monday, July 11, 2005 at the funeral home. Cremation with final interment in St. Mary’s Cemetery, Port Washington. Visitation 4 – 6 PM Monday at the funeral home.